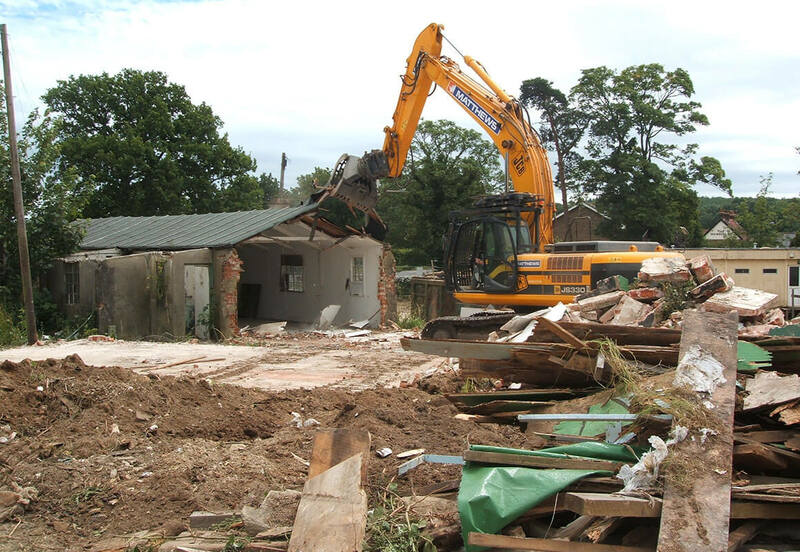 Demolition, contaminated soil remediation, sales area car park construction, fencing and landscaping. 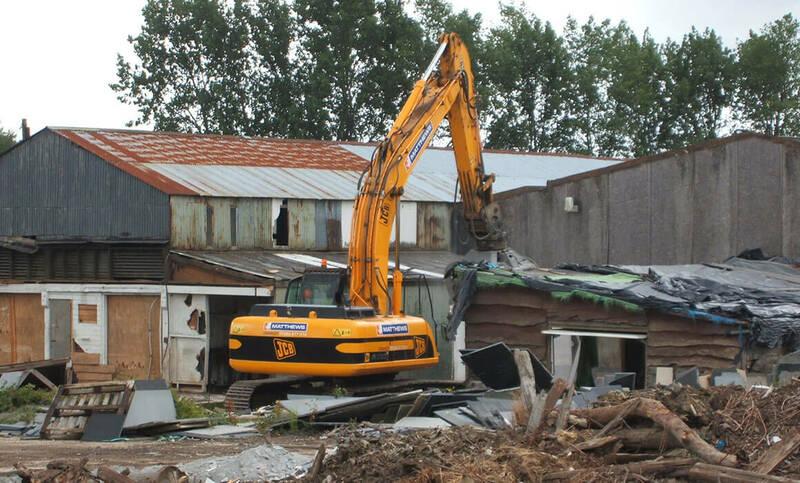 The former Agates Wood yard at Faygate has had a long and varied history of industrial use. During the second world war the site was used for the storage and dismantling aircraft shot down through out the south east of England. As a consequence extensive investigations for buried munitions where required as the practice at the time was to dig a hole and bury any remaining ammunition. Our site staff where put through an extensive briefing and training course to insure the had the knowledge to be vigilant and to know what objects are likely to be of danger. This was particularly important as excavations where to be undertaken on the complete site of some 12 acres and not just in the location where munitions where presumed to be located. After the war the site was used a saw mill and then for general industry and manufacturing. 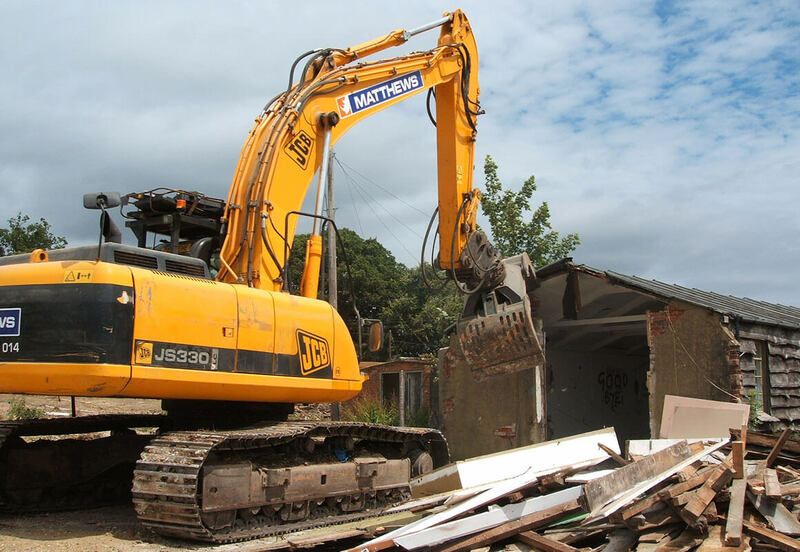 In addition to the demolition and remediation works, over a kilometre of hoarding and a kilometre tree protection was erected, construction the foundations and the base to the large sales area and office along with the sales car park and associated drainage, services and landscaping.